In December 1989, Charles Taylor- once a minister under Doe’s regime was reported to have infiltrated into Liberia through neighboring Côte d’Ivoire with some sections of Liberian dissidents group. Their mission was to initiate a military (guerrilla) uprising takeover that eventually ignited a full-scale civil war in Liberia. We might also re-call that the force, which became operative in late August 1990, was initially under the command of the then Forces Commander- Lt. General Arnold Quainoo, who as military history teaches us, held this position in less than a month! Perhaps, it might be instructive to note that it was during General Quainoo’s leadership that Doe was captured and executed by Prince Yormie Johnson’s break-away Independent Patriotic Front (NPFL). Before then, the embattled President Doe, had fortified himself in the presidential mansion until he was invited for bi-lateral talks. 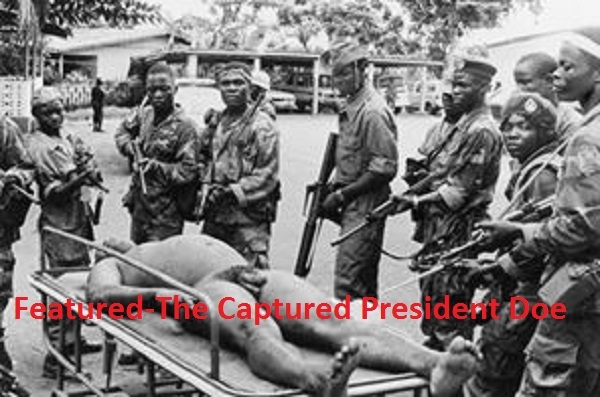 Thus, it was upon ECOMOG’s invitation that Doe found himself in the web of his fierce opponents (NPFL), who did not only capture the said fugitive and brutal dictator Samuel Doe but also, tortured him before being eventually executed by the Prince Yormie Johnson’s men on 09 September 1990. We mention in passing that it was against this backdrop that Major General Joshua Dogonyaro, from Nigeria, took over from General Quainoo- the first-ever ECOMOG Commander, after he had left Monrovia for consultations with senior ECOWAS officials soon after the death of Samuel Doe at the hands of Prince Johnson’s NPFL. The background here is that in 1989, the Economic Community of West African States Monitoring Group (ECOMOG), swiftly contemplated an intervention in Liberia in an effort to end the civil war that in the words of the BBC (30 Jun 2015), eventually rendered some 250,000 people killed and many thousands as refuges. The Wikipedia notes that Lieutenant-General Joseph Boateng Danquah, the twenty-seventh Chief of Defence Staff (CDS) of the Ghana Armed Forces, was the Commanding Officer of the Second Ghana Battalion of ECOMOG, which was based in Liberia between October 1990 and June 1991. In the words of Adekeye Adebajo, the Standing Mediation Committee, the body that established ECOMOG at its meeting in Banjul, Gambia on 6–7 August 1990 “lacked legal base”. SUMMARY NOTES AND CRITICISMS AGAINST ECOMOG – Nigerian scholar Adekeye Adebajo((New York, Council on Foreign Relations, 1993, pp.157-203) wrote in 2002 that “there was merit…in the argument that the establishment of ECOMOG did not conform to the constitutional legal requirements of ECOWAS”. The Standing Mediation Committee, the body that established ECOMOG at its meeting in Banjul, Gambia on 6–7 August 1990, was in the words of Adebajo, ‘on shaky legal foundations.’ Adebajo concludes that the arguments used to establish ECOMOG had more solid grounds in politics than in law. That the Defence Protocol’s guidelines were not followed, and ECOMOG was justified largely on humanitarian grounds.